NY Waterway will be hosting events for customer appreciation day on April 10. NY Waterway ferry customers can celebrate the arrival of spring with refreshments, food and giveaways from local vendors during Customer Appreciation Days at the Port Imperial Ferry Terminal in Weehawken, Wednesday April 10, from 4 p.m. to 7 p.m.
Homebound commuters Wednesday evening can enjoy samples from area restaurants such as Molos, Ben & Jerry’s, Moe’s, and House of Que, and see displays by Imperial Riverside Events, Susan G. Komen North Jersey and more. 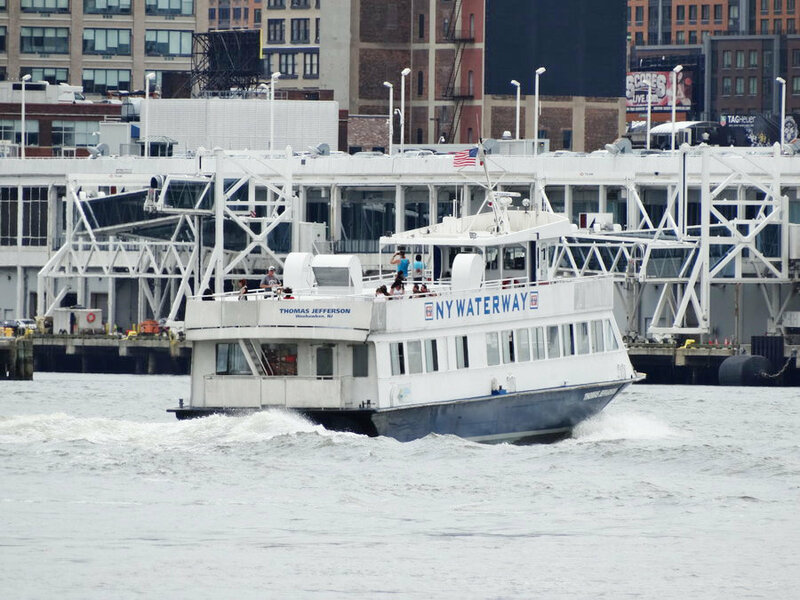 Visit nywaterway.com/customerappreciation for more information. The Hudson County Sheriff’s Office received a $40,000 grant to crack down on distracted drivers and the statewide campaign is already underway. The grant will fund additional officers patrolling with a focus on all forms of distracted driving, from any activity that could divert a person’s attention away from the primary task of driving. All distractions endanger the safety of drivers, passengers, and bystanders alike. Texting is the most common distraction among drivers, and is the most dangerous, according to Sheriff Schillari. Other distractions associated with dangerous driving include eating and drinking, talking to passengers, grooming, reading, using a navigation system, watching a video, or adjusting audio devices. The New Jersey Department of Environmental Protection is providing 60,000 free tree seedlings to residents through the New Jersey Tree Recovery Campaign, an ongoing effort by the NJ Forest Service, the Arbor Day Foundation, and other partners. Residents are eligible to receive bundles of five free seedlings at any of the 118 distribution sites across 19 counties from now until May 5. The program began in 2012 when Hurricane Sandy destroyed and damaged trees across the state. Since then, the program has made more than 500,000 trees available to residents. The seedlings distributed are roughly one to two feet tall, and are species that grow well within the regions they’re distributed in. Persimmon and black oak trees will be distributed to municipalities in the northern part of the state. For more information on this program, call 732-928-0029, or visit forestnursery.nj.gov. To find seedling distribution locations and dates, visit the State Forest Service Facebook page at facebook.com/newjerseyforests, or go to forestry.nj.gov. This would apply to Secaucus-based WWOR-TV, which had its license renewed by the Federal Communications Commission (FCC) last year, despite the station shutting down its entire New Jersey news operation in 2013, and failing to provide meaningful local news coverage ever since.